Conductor’s Score and Instrumental Parts. 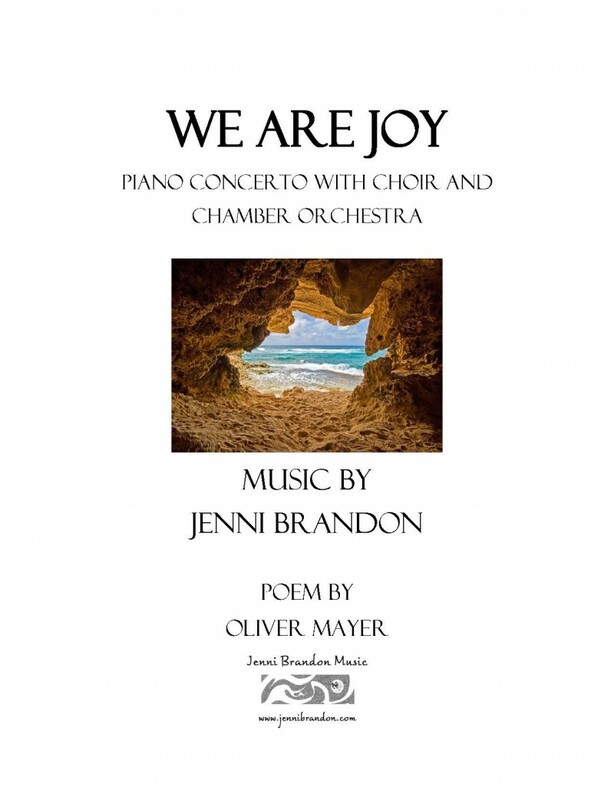 We Are Joy, a piano concerto with choir and chamber orchestra, celebrates that WE are joy, all poems and all songs. Poem by Oliver Mayer. Duration approximately 25 minutes. Great to pair with Beethoven’s Choral Fantasy. SOON TO BE PUBLISHED BY PAVANE PUBLISHING! We Are Joy – piano concerto with choir and chamber orchestra was commissioned by the Long Beach Camerata Singers under the direction of Dr. Robert Istad for the 50th anniversary celebration of this organization. It asks the question “what is joy” and takes us on a journey through discovering what brings joy to our lives. We discover, in the end, that WE are joy, all things, and that we need only to look inside ourselves to find that true joy. The significant theme of this work asks the question “What is Joy,” and how we interpret this in our daily lives. Throughout the work we are asked to explore what joy means to us and the responsibility it takes to create that joy in our every day. Oliver Mayer, who is an Associate Professor of Dramatic Writing at the USC School of Theatre, wrote the original text for this piece, which explores this question of the meaning of joy. Inspired by Yeats’ poem Vacillations, the text moves through the emotions that Joy can bring, from being blessed, to questioning reason and responsibility, finding our way from darkness to light, and feeling exhilaration in discovering what Joy means for each of us. 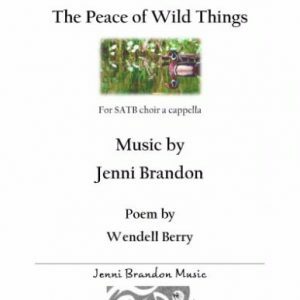 In setting the text, I wanted to explore and interweave this musical theme of Joy throughout the work. 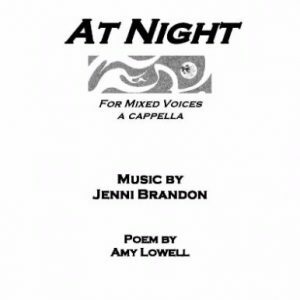 The piano, orchestra, and choir work together excitedly to ask the question of what is joy, to tell the story of searching for it, and at other times quietly expressing emotion through unaccompanied choir, piano solo, or instrumental interlude. it becomes apparent that through even the simplest of moments, if we remain present, we will realize that we ARE joy – we are the poems, the songs, and the blessed that can bless. 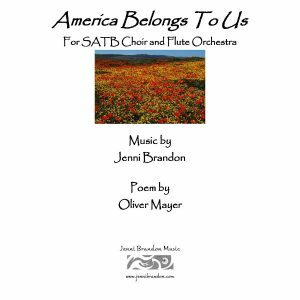 It was my absolute joy to write this work for Dr. Robert Istad and the Long Beach Camerata Singers along with Tim Durkovic on piano to premiere in my town of Long Beach on the occasion of their 50th Anniversary of bringing amazing choral programming to this community.